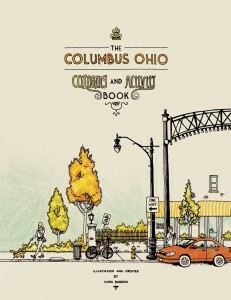 Katie Barron’s pen and ink drawings of four neighborhoods in Columbus make for a beautiful coloring book. We provided the print and distribution services for Katie’s book under our Proving Press imprint, making it easy for her to sell her coloring book on major online retailers, as well as in local shops around Columbus. Find The Columbus Ohio Coloring And Activity Book here. Our distribution services are included in each of our professional self-publishing packages. There’s no waiting in line at the post office, you don’t have to store a truckload of books in your basement and you don’t have to manage incoming orders. We handle all the work, and you collect the check. This is also a great option for authors who want to sell their books in local bookstores and businesses. Our printers produce high-quality books that are vastly superior in quality to books produced by CreateSpace, DiggyPOD etc. You can order whatever quantity you need to stock the local shelves, and reordering is as simple as dropping us a line. Contact us today to learn more about our self-publishing services. You can find Katie Barron’s book in local retailers like State & Third, Mary B’s Wearables and Edibles and Art-ables. Since its release, Katie’s book has received lots of local attention. Keep an eye out for an upcoming article in 614 Magazine!